For a while it seemed like everyone and their parakeet was talking about the book Plenty by Yotam Ottolenghi, so of course I had to add it to my collection. It's all about vegetables. Lovely, lovely vegetables. I'm nowhere near being a vegetarian, but I love vegetables. Plain, raw, steamed, boiled, baked, grilled, fried, sauced ... it doesn't matter. I love 'em all. There are very few vegetables that I don't like. Uh... okay, argula isn't my favorite vegetable, but if someone else serves it, I'll eat it. So a whole book full of vegetable recipes sounded great. I paged through it looking for something to make from what I had on hand, and then realized that just about every recipe required a vegetable that I had used the last of yesterday. So, I settled on salad for now. Yes, salad. What the heck, I wanted salad anyway, so I figured that a salad recipe was a slam-dunk. I had butter lettuce, and I thought I had radicchio (but I didn't). The recipe called for curly lettuce, but I had no idea what that was. Eh, butter lettuce was fine. I was going to add some romaine, then changed my mind. I was all set until I opened the jar of sundried tomatoes. 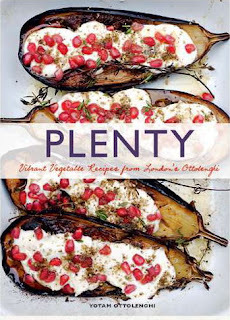 Ottolenghi noted in the recipe that most sundried tomatoes are too harsh for salads, and that he prefers the semi-sundried varieties. He was right - I didn't like the flavor of those tomatoes at all, so I used some fresh tomatoes instead. I'm going to look for the semi-sundried tomatoes next time I'm shopping, or I'll make my own - he has a recipe. Or I'll pick up a bag of the ones that are sold near the prunes and raisins. I've found that those are pretty good, and they'd probably take well to a good soak in olive oil. So, what I made wasn't exactly the recipe in the book, but it was close. The interesting thing (to me) was the addition of capers. I love capers. I use them in cooking, but I'd never thought about putting them on a salad before. Turns out that I really liked them. I'll be doing that again more often, I'm sure. Another thing I thought was interesting was using olive oil plus grapeseed oil. As much as I love olive oil (and its health benefits) in some salad dressings the flavor can be pretty assertive. Cutting it with a milder oil makes sense, particularly when the other flavors aren't very strong. 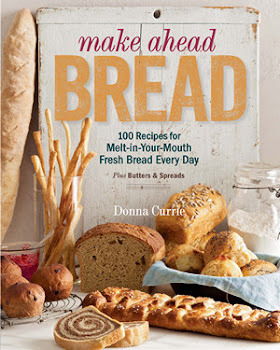 I bookmarked another recipe from this book, as soon as the vegetables I need look appealing at the store. I'll be posting that one later. Meanwhile, I gawk at the pretty vegetable dishes. To make the dressing: In a small bowl, whisk together the ingredients, being quite generous with the salt and pepper. Wash the lettuce leaves, dry well and keep whole or tear into large pieces. Place in a large mixing bowl and add the radicchio, green onions, radishes, and tomatoes. Just before serving, pour the dressing over the salad and toss gently. Transfer to a large mixing bowl and sprinkle the capers over the top.